The North Dakota frontier from Bentley, ND, in 2007. The state is currently experiencing phenomenal growth, and Dean Hulse looks at the environmental consequences of such growth. Photo from afiler via Flickr. Murmurings about North Dakota's current oil boom began to surface in late 2008. While a global financial crisis was under way, North Dakota’s unemployment rate shrunk to astonishing low levels as the state became flooded with opportunities, and challenges, that continue today, and by some estimates might continue for decades (most recently featured in the New York Times Magazine). Dean Hulse, author of Westhope: Life as a Former Farm Boy and an activist for issues of land use, renewable energy, and sustainable agriculture, has agreed to engage with us about long-term issues facing the state—which have implications for discussions about land use across the American frontier. 1. Much has been written about the economic boom and rapid population growth of North Dakota. Should we be talking more about the ways the land is being affected? My dad lived through the “Dirty Thirties,” and that experience formed the land ethic he passed on to me. About ten years ago, I came to fully appreciate 1930s-era soil erosion. A contractor leveled a tall ridge on some farmland I own, and when he had dug about five feet into the ridge, he discovered steel fence posts and barbed wire that had been covered by wind-blown topsoil. 2. 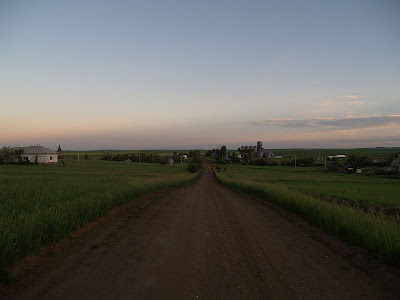 What are your gravest concerns about the current state of land use in North Dakota? The process known as hydraulic fracturing (“fracking”) is necessary to recover most of the Bakken Formation’s crude oil. In his article, Brown says about “95 percent of the Bakken won’t yield its oil” without fracking. A recent Forum Communications news article details the volume of North Dakota’s water going to oil and gas production. In 2012, the industry used at least 5.4 billion gallons, with about 70 percent of that total for fracking. The State Water Commission estimates that, on average, each fracked well requires at least 2 million gallons, with a few individual fracking jobs demanding somewhere between 8 to 11 million gallons. The article quotes a North Dakota State Water Commission hydrologist who acknowledges that the agency has yet to determine how much water can be used in a sustainable manner. The potential industry thirst—40,000 wells and perhaps 2 million gallons per well—is exponential. 3. How does North Dakota’s history inform the current situation? The history of white settlement teaches us to be skeptical about promoters of all stripes. In Westhope (the essay “Rocks Taking Root”), I quote sections from Beyond the Hundredth Meridian by Wallace Stegner. The one hundredth meridian slices through North Dakota, and so the claims of 19th century promoters such as William Gilpin should function as a bellwether against the oil patch effusiveness we’re now witnessing. Here’s a particularly telling quote: “Gilpin joined the politicians and the railroads, eager for settlers, in finding most of the plains region exuberantly arable.” Translation: rain follows the plow. 4. What do you make of the rapid period of growth the state has experienced? Many North Dakotans are beginning to understand that the terms “growth” and “development” aren’t synonymous. Growth relates to quantity—i.e., the more the better—but uncontrolled growth is also a definition for cancer. By contrast, development implies a focus on community—on quality of life. A case in point is Williston, a western North Dakota city in the heart of the oil patch. According to the latest U.S. Census Bureau population estimates, Williston now is the nation’s fastest growing “micropolitan area,” which has a population between 10,000 and 49,999. And yet, Standard & Poor’s Rating Services recently downgraded Williston’s credit rating. 5. Chip Brown's article cites experts who estimate the Bakken Formation holds somewhere between 169 billions barrels and 503 billion barrels of oil. What are the most important things the state should be doing now to prepare for a long period of oil production? First and foremost, we should begin imagining the Bakken as a glass that’s already more than half empty. As Brown also points out, oil recovery rates currently range from 1 to 6 percent. In 2008 the U.S. Geological Survey (USGS) assessed the Bakken and concluded that it contained up to 4.3 billion barrels of recoverable oil. The USGS is scheduled to complete a reassessment later in 2013, and its estimate of recoverable oil in the Bakken is almost certain to increase. As technology improves, recovery-rate percentages will grow as well. The website Bakkendispatch.com cites North Dakota government and industry estimates of recoverable oil ranging from 10 to 24 billion barrels. To put the Bakken oil reserve in perspective, I think it’s helpful to create an extrapolation of exaggeration—that is, to consider how long Bakken crude would last if it were the only oil reserve from which the United States could draw. The U.S. Energy Information Administration places current U.S. oil consumption at 6.87 billion barrels for 2011 and 7 billion barrels for 2010. At an average consumption rate of 6.9 billion barrels a year, 4.3 billion barrels of recoverable Bakken oil would last Americans less than one year. At 24 billion barrels, Americans would burn through the Bakken in about three and a half years. Even if all the Bakken oil were recoverable, it would last us for perhaps 24 years, or maybe as many as 73 years. In short, the Bakken Formation developed throughout hundreds of millions of years, and we have the capacity to consume its oil in less than a century. That circumstance should cause us to pause. At some point, we’ll need to refill that emptying glass with renewable fuels, and the good news for North Dakota is that grass mixtures hold tremendous promise as the feedstock for advanced biofuels. 6. If this boom were to end as quickly as the last (which “collapsed so quickly when prices crashed that workers in the small city of Dickinson left the coffee in their cups when they quit their trailers,” Brown writes), what would be your primary concerns about what happens to the pumped-out and depleted land next? My key concern actually involves what the consequences climate change will have on our region—economically, environmentally and socially. Predictions call for decreased soil moisture during the summer months; extreme events such as sporadic heavy precipitation, extended cold periods, and growing-season frosts; and the likelihood of invasive species and other new pests. Fortunately, we have alternatives to the status quo—which are the most hopeful examples I could offer in conclusion. Instead of planting one crop per field, we can plant many crops in the same field and harvest the crops at the same time—crops yielding food, fiber and/or fuel. If those crops are perennials, then we won’t have to replant each year. The phrase “perennial polycultures” refers to this practice, which saves soil, reduces fuel consumption and creates a symbiotic relationship due to diversity. Research to make this vision a reality has been under way at The Land Institute in Salina, Kansas, for decades. Likewise, we can use domesticated four-stomached animals such as cattle, sheep and goats to mimic how the great bison herds grazed the plains—one component of a concept called “holistic management.” The benefits of this method include enhanced grassland productivity and better water filtration and retention. Already, Allan Savory and his associates have proven the effectiveness of this technique, and many members of the North Dakota Grazing Lands Coalition are employing it. Dean Hulse is author of Westhope: Life as a Former Farm Boy. He is a freelance writer and an activist for issues of land use, renewable energy, and sustainable agriculture. He lives in Fargo, North Dakota. "Westhope captures the workings of a farming family and community, and the ways people are linked by stories, food, and history. He also suggests the larger, invisible forces that make farming difficult and reveals both the rewards and the tensions inherent in that way of life. In the tradition of writers like Michael Pollan and Wendell Berry, Hulse points to a relationship to place based in knowledge of the land itself and how it sustains, and can be sustained by, human culture." 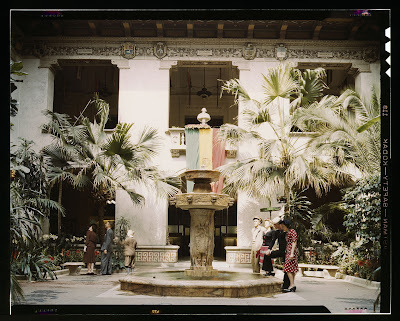 Courtyard of the Pan American Union, Washington, DC, 1943. 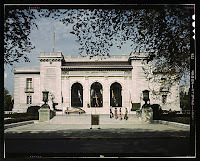 Library of Congress, Prints and Photographs Division, FSA-OWI Collection (LC-USW36-734). Photograph by John Collier. Among the buildings on the National Mall in Washington, D.C., only the Pan American Union (PAU) houses an international organization. The first of many anticipated “peace palaces”constructed in the early twentieth century, the PAU began with a mission of cultural diplomacy, and after World War II its Visual Arts Section became a leader in the burgeoning hemispheric arts scene. 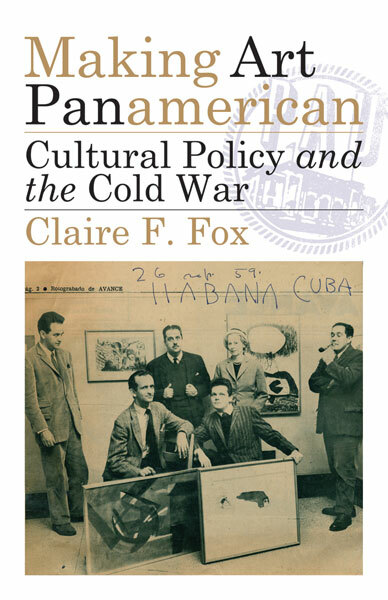 In Making Art Panamerican (2013), Claire F. Fox situates the ambitious visual arts programs of the PAU within the broader context of hemispheric cultural relations during the cold war. My interest in cold war Pan Americanism arose from a desire to pursue lingering questions raised in my previous work on the cultural dimensions of NAFTA-era trade liberalization. But I felt dissatisfied with the existing cold war scholarship’s frequent appeals to the covert and the money trail as ultimate interpretative horizons for art and culture. 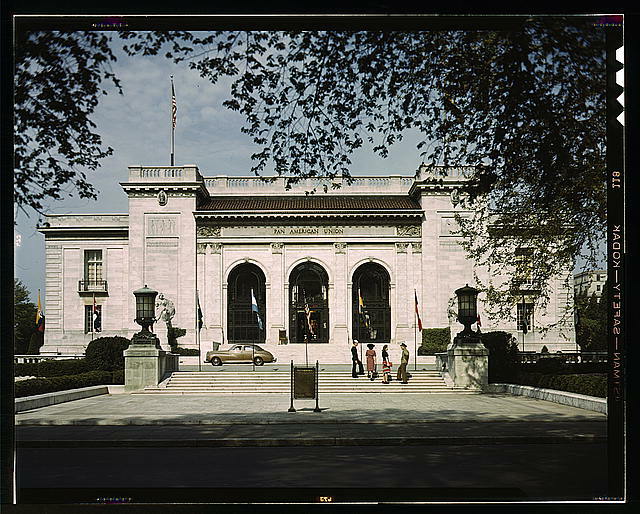 The Pan American Union, Washington, DC, 1943. Institutional analysis and cultural policy studies in contrast provided models that enabled me to conceptualize connections among aesthetics, audiences, economics, and politics in a transnational context. Focusing on the Pan American Union as a hub of cold war visual culture in the Americas, I found that the familiar U.S. coordinates of Washington, D.C., New York, and McCarthyism diminished in centrality, and instead postrevolutionary Mexican arts and institutions, as well as a generation of Latin American intellectuals who had spent formative years affiliated with avant-garde and left-progressive political movements, emerged as protagonists of ambitious projects in hemispheric art worlds, including continental canon formation, the promotion and circulation of new aesthetics, and corporate patronage for the arts. The most exciting and gratifying aspects of working on Making Art Panamerican have been the connections I’ve made to scholars, curators, and artists engaged in parallel projects about cold war visual culture in the Americas. Alongside this new wave of research on museums, exhibitions, periodicals, and cultural movements, several ambitious archival and digitization projects are also underway, making sources available to the public that have previously been inaccessible or dispersed throughout the hemisphere. These include the Primary Documents series of the Museum of Modern Art, New York; the Surrealism in Latin America project of the Getty Research Institute, Los Angeles; and the Documents of 20th-century Latin American and Latino Art digital archive, housed in the International Center for the Arts of the Americas (ICAA) at the Museum of Fine Arts, Houston. To spend even a few minutes digitally meandering through the ICAA labyrinth, created through the collective labor of numerous regional coordinating committees, suggests the dizzying possibilities for new narratives to emerge as scholars begin consult these materials within a transamerican framework. At the same time, my research on this project continually reminded me of the limitations of archival sources, as for example, when my colleague Laura Gutiérrez, a specialist in Latina/o American performance, forwarded to me a YouTube link (above) featuring newsreel coverage of the Mural efímero (Ephemeral Mural, 1967), a happening organized by the Mexico City-based artist José Luis Cuevas, who figures prominently in Making Art Panamerican. The newsreel shows how cleverly Cuevas appropriated the language of commercialism through this collaborative event, all the while enveloping it in an aura of 1960s global youth culture, which incorporated media, music, fashion, and libido. Though the newsreel itself is an archival artifact, its images suggest the rich experiential register of live performance that Cuevas utilized effectively to parody not only the Mexican school of art and ruling party, but also the liberal, “mentalist” values of Pan American Union cultural policy. The cold war institutional configurations that I trace in Making Art Panamerican continue to bear on contemporary American art worlds, as in the work of Mexico City-based artist Francis Alÿs, whose video essay Politics of Rehearsal (2005) cites the 1949 inaugural address of U.S. President Harry S. Truman as a sort of locus classicus for the artist’s own exploration of modernity and developmentalism in the Americas. As in the case of Alÿs, my thinking about the cold war has given me fresh insight into the contemporary profile of art movements under neoliberalism, a line of inquiry that I am eager to pursue in a future project. Of course, even as Making Art Panamerican went to press, I appreciated both the finitude and inexhaustibility of archives, but as long as materials remained inaccessible, I pushed them to the recesses of my subconscious. Thanks to the labor of AMA education coordinator Adriana Ospina, key documents from the trove described by Anreus will be digitized as part of the ICAA project. And I am looking forward to revisiting the topic of the cold war in the Americas once again next fall, as the Fred Jones Jr. Museum of Art at Oklahoma University prepares the exhibition Libertad de Expresión: The Art Museum of the Americas and Cold War Politics, scheduled to open in October 2013, a show that invites further reflection about the relationship between cold war Pan Americanism and aesthetic movements. Claire F. Fox is associate professor in the departments of English and of Spanish and Portuguese at the University of Iowa. She is author of Making Art Panamerican: Cultural Policy and the Cold War (2013) and The Fence and the River: Culture and Politics at the U.S.-Mexico Border (1999). "Making Art Panamerican brings understandings of cultural policy into conversation with many other areas of concern, and therefore greatly expands the sense of that policy sector’s relevance to political, economic and broadly social frameworks. This allows for an invigorated sense of why and how cultural policy matters, and is reflective of the complexity of the space in which it takes place. It is brimming with strongly argued points and clearly articulated insights." What do university presses do? 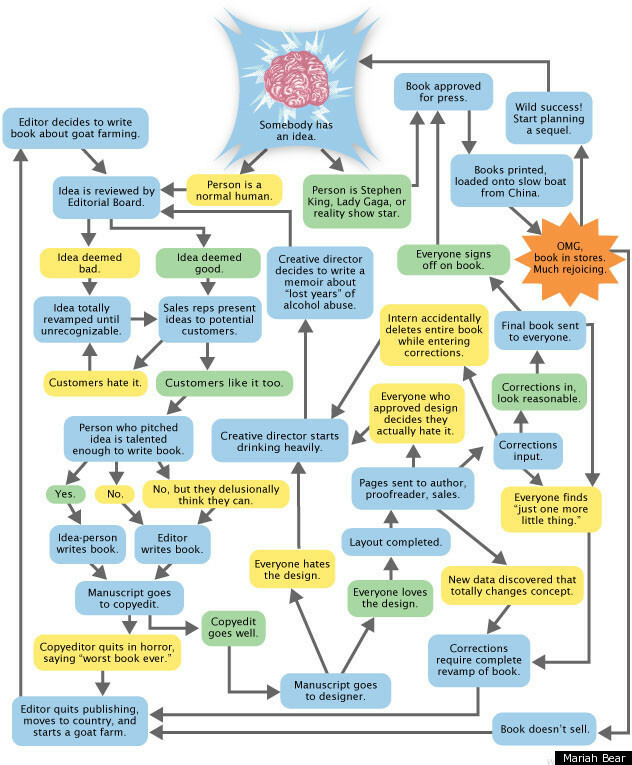 One widely circulated infographic impression of how a book is born. Last week some good news hit my inbox. A book published by the University of Minnesota Press, begun as the author’s dissertation, had been discussed in the New Yorker. Matthew Wolf-Meyer’s The Slumbering Masses: Sleep, Medicine, and Modern American Life was published in the fall of 2012. In it, he argues that what we think of as natural sleep is anything but. Instead, our notions of sleep have been socially constructed over time with medical knowledge working hand-in-hand with capitalism to produce well-rested modern American workers. Based on ethnographic research with people who both experience and treat “abnormal sleep,” Wolf-Meyer’s book allows us all to question why we sleep the way we do. Last week, the New Yorker’s Elizabeth Kolbert discussed the book in an article rounding up recent research on sleep, devoting several paragraphs in “Up All Night” to a nuanced account of Wolf-Meyer’s argument. It was a nice moment for the book and for the press. And I found myself reflecting on the journey the book had taken to get into the hands of a writer for the New Yorker. This journey, from dissertation to published book and beyond, provides a counter narrative to the rhetoric about scholarly publishers these days, rhetoric which paints us as parasites sucking profit and capital out of the work of scholars, structured around a “conflict” between publishers, libraries, and scholars often oversimplified into a binary. Publishers are interested in profit. Libraries and scholars are not. This oversimplification is wrong on two fronts. First, it assumes that all of our decisions as publishers come down to profit. But reflecting on the number of important books the University of Minnesota Press has published that have defined, intervened, and reoriented scholarly research, books we knew from the very outset would not generate “profit,” I know that it is not the only—nor even the chief—factor in determining whether or not we publish a manuscript. Second, it ignores the diversity of scholarly publishing. To say that libraries and publishers have deeply conflicting interests veils the fact that many publishers have deeply conflicting interests with each other. And I am not talking about the competition among our editors for the best and brightest authors. Among the range of publishers serving scholars, from Elsevier to Oxford to Edwin Mellen to Haymarket to the University of Minnesota Press, there are an array of business models, pricing strategies, ethical stances, and levels of commitment to scholars. 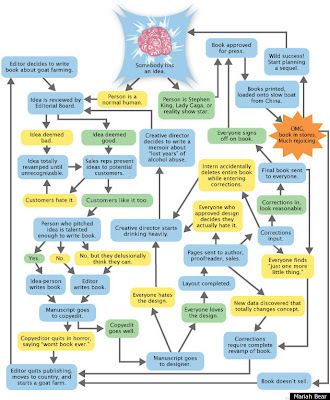 The journey of Matthew Wolf-Meyer’s book, how it came to be picked up and written about in the New Yorker, illustrates for me what it is that university presses do. The journey of his book is the first thing that is obscured when we lump all publishers together or collapse their mission into a singular drive for profit. Of course Matthew Wolf-Meyer’s book begins and ends with the author and his scholarship. The Slumbering Masses started as Wolf-Meyer’s dissertation in the Department of Anthropology at the University of Minnesota. It is a distillation of his anthropological training, and a reflection of his dedication to the field, to ethnographic research, and in the end, to an idea. Before the press even became involved in the book manuscript, Wolf-Meyer dedicated an enormous amount of talent, training, and time to his research. When I first looked at the manuscript that was eventually to become The Slumbering Masses, it was in the form of a successfully defended dissertation. The story could have ended there. The dissertation could have been “published” by a university library and posted online. But both the author and I knew that the dissertation contained the soul of an important book on sleep. And I knew that that this important book was buried within a scholarly apparatus that made it difficult for other scholars in anthropology to find and appreciate the book’s interventions. The author’s ideas were couched within a text that was designed to provide a record of graduate training, not to communicate to a broader world of scholars and non-academics. Both the author and I knew that he had developed important ideas that deserved to be discovered by anthropologists but also social science scholars broadly, historians of medicine, scholars of American culture, medical professionals, and general readers. After all, we all struggle to get a good night’s sleep. We worked on issues of style and content, discussing what to cut and what to keep. He whittled away tens of thousands of words, focusing on the arguments he felt were central. I solicited peer readers (and I cannot overstate their profound influence on the manuscript) who were senior scholars in the author’s field and who devoted time and energy to point Matthew in productive directions, helping him to see what was innovative about his project and how we could better communicate that to his field. The Press, with the help of a Mellon Foundation grant, also sponsored a fellowship for the author through the press’s Quadrant program, allowing him a semester free from teaching. He returned to the University of Minnesota for that semester to work specifically on his book manuscript while giving public talks on his research and networking with senior scholars on campus. Once the book manuscript was finished, other publishing professionals became involved. We work collaboratively, with the director of the press, marketing director, publicist, sales manager, design manager and managing editor coming together with me and the author to discuss the package of the book, including title, price, format, and cover design. We brainstormed among ourselves and with the author, hashing and rehashing the title and cover design to produce an attractive book that conveys to both a scholarly and general readership that this is a serious but accessible book with a surprising argument. 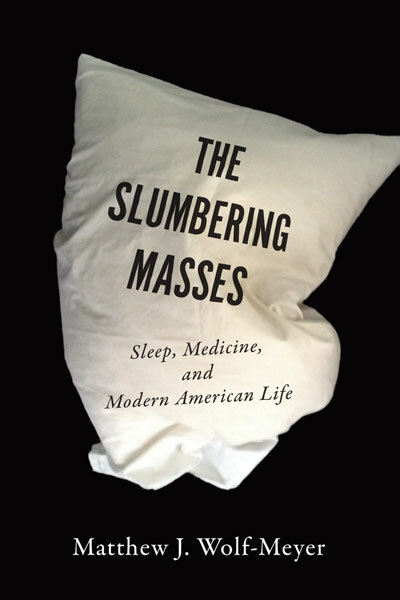 The result is The Slumbering Masses: Sleep, Medicine, and Modern American Life, a jacketed hardcover book that is also available as a Kindle edition. Many publishing professionals played a role, from copyeditors, proofreaders, and typesetters, to the printers and warehouse staff with whom we partner. We paid to convert the book to a digital format that allows it to be sold for the Kindle and hired a professional cover designer who screen-printed the title on pillow cases (I have one in my office) to develop a cover concept that subtly reminds us all of waking up from a fitful night’s sleep. How did it get into Elizabeth Kolbert’s hands? Our publicist first pitched the book to the New Yorker almost seven months ago, before it had been published, visiting the New Yorker’s offices in person and interesting an editor in the book. Our publicist knows how the New Yorker works, how to pitch a book to them, and when to follow up. She delved deep into a book that is at its core a work of serious scholarship, pulling out the arguments and hooks and translating them. Eventually, it resulted in a scholar’s important arguments reaching a broader audience. It is impossible to boil this process down to a single word, this years-long journey from graduate research to dissertation to book. Like the rhetoric against scholarly publishing, doing so runs the risk of obscuring the work of everyone else involved, from author to copyeditor to publicist. But if I could capture in one word the press’s goal in publishing The Slumbering Masses, that word for me would be “amplification.” What we did was work with an author’s dissertation written to a handful of committee members and amplify that argument so that it resonates within the field, the broader discipline, the academy, and beyond—to general readers that vibrant scholarship must reach. That is the value that a university press brings to the publication and dissemination of scholarship. It is what a university press does. Related content: Matthew Wolf-Meyer has also written about the book's publication journey on his blog. Jason Weidemann is senior acquisitions editor at University of Minnesota Press. He can be found tweeting at @fiveoclockbot or contacted via e-mail at weide007@umn.edu. Remembering the Hollywood blacklist and those artists who were silenced more than sixty years ago. Cited for contempt of Congress, nine Hollywood men give themselves up to U.S. Marshal on December 10, 1947, after refusing to answer questions about their alleged involvement with the Communist Party. From left: Adrian Scott, producer and screenwriter; Edward Dmytryk, director; Samuel Ornitz, screenwriter; Lester Cole, screenwriter; Herbert Biberman, screenwriter and director; Albert Maltz, screenwriter; Alvah Bessie, screenwriter; John Howard Lawson, screenwriter; and Ring Lardner Jr., screenwriter. The Hollywood Ten's tenth member was screenwriter Dalton Trumbo. With the Academy Awards still on our minds, and with a nod to his book Tender Comrades having been recommended as a good Oscars season read by Ben Mankiewicz (who writes that "somehow the shame of the Hollywood blacklist remains unknown to millions of movie lovers"), Patrick McGilligan has created this piece for the University of Minnesota Press blog to discuss his book of interviews with 36 blacklist survivors (including two members of the Hollywood Ten) who were silenced more than 60 years ago. How did you get interested in the blacklist? I had written a book about James Cagney, my first book, but most of the writing came out of library research. Not until moving to Boston and later Los Angeles did I begin to cross paths with some of the people who were entwined with his career. Many of them from the early 1930s were former Communists or left-wing people because that was Cagney's politics at the time, partly owing to their influence. I was galvanized by meeting John Bright, co-writer of The Public Enemy and other Cagney films, who was also one of original ten founders of the Screen Writers Guild and one of the secret "gang of four" that established the Hollywood cell of the U.S. Communist Party. We quickly switched from talking about film to talking about politics. Our friendship grew. He was one of the tragic cases of the blacklist; you could say he sacrificed his career for his political ideals and beliefs. I had known about the blacklist, obviously, but I was remiss in thinking deeply about it, and doing specific work related to it until I met John. Actually, early on my friend Ken Mate and I suggested filming a dinner party reunion between Bright and Little Caesar novelist and Hollywood screenwriter W.R. Burnett. They had known each other back in the day at Warner Bros. and once were friends. Bright was up for it. Burnett said to us, "Me? Sit down for dinner with a Commie—never!" This was 35 years after HUAC (the House Un-American Activities Committee) swept through Hollywood, and a reminder of how deep the bitternesses ran. I had interviewed a few blacklisted personalities in the past, but usually only in passing as a journalist. Now, I began to do interviews diligently, tracking blacklisted people down whenever I had the chance. Did this book start out as a film documentary? Sort of. Ken Mate and I started out making a documentary about the blacklist around 1983, interviewing former blacklistees on both coasts and some who were living in Europe. That documentary was never completed. I went back to the transcripts for a small number of interviews in Tender Comrades, and I augmented some of those with fresh material from later interviews. The documentary project did make me all the more determined to devote a major book to the subject one day, and increasingly I thought it might be a book purely of interviews. The idea for a book of interviews was given a jolt of energy when Paul Buhle phoned one day to say he had been interviewing some Hollywood blacklistees for a project of his own. I said to Paul, "Let's put your interviews and mine together and we'll have a great book." Then there was a rush to interview a final list of people who had eluded me in the past—a trip to Athens to have a formal sit-down with Jules Dassin, for example, whom I had only interviewed briefly. All told, the interviews took about twenty years of work here and there. The book is as much about filmmaking and life in Hollywood in the Golden Age as it is about the blacklist. Was that intentional? It evolved that way. I felt politically sympatico with the blacklistees, but many of the blacklistees I met under other auspices, interviewing them for newspapers or magazines about their projects; a few, like Martin Ritt for example, were still actively making films. I was always interested in their careers, and especially in the cases of the writers, in the background of their work. An important thematic point of Tender Comrades is that most of these people boasted stellar careers as writers, actors, directors, producers. Film history owes a lot to them even before you get to the blacklist. People often quote the remark of Billy Wilder (I think it's an apocryphal story but even so) that only one of the Hollywood Ten was talented and the rest were just unfriendly. I'm not sure of the exact quote, it varies in versions, but I hate that quote. It's untrue. 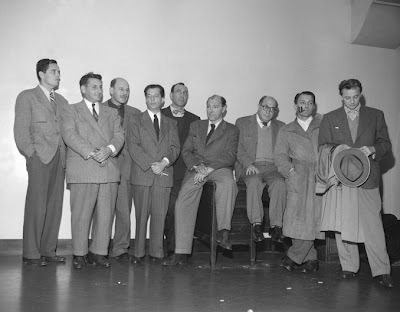 The Ten and the other blacklistees gave much creatively to Hollywood, and the quality of Hollywood filmmaking was diminished by their blacklisting. So the book tries to tell that story, their artistic contribution, as well. Do you have a favorite interview among the three dozen people who are interviewed? I think the range and number of the interviews is part of the attraction. This is a large sample group. The ones I knew best I knew off-stage as it were, over the years, between dinners and phone calls and letters. I'm proud of helping some of them, such as John Bright, Bernard Gordon, Bernard Vorhaus, Edward Eliscu, Sondra Gorney (the widow of Jay Gorney), get their own autobiographies published. The ones I didn't know as well (like Robert Lees, part of the "Abbott and Costello" writing team, whom Paul Buhle interviewed) I only wish I had known better. I was at the funerals or memorial services of some, and I think of them as departed friends. Their photos decorate my office. It is important to say the blacklist never ended for many. Some never returned to America. Many never returned to filmmaking. The blacklist remains an important subject today for anyone who wishes to understand American film history, especially if one wishes to understand the homogenization of movies set in motion by the blacklist and the corporatization of the industry that followed. Patrick McGilligan has written several acclaimed biographies, including Alfred Hitchcock: A Life in Darkness and Light (a finalist for the Edgar Award) as well as New York Times Notable Books about George Cukor and Fritz Lang. His five-volume Backstory series is the definitive oral history of American screenwriting. "This is not the usual book of remembrances—nostalgic, bittersweet, and all that. This is chapter-and-verse recall of our country’s most shameful epoch. . . . It is eloquent and revelatory, but most of all, it is a cautionary tale." 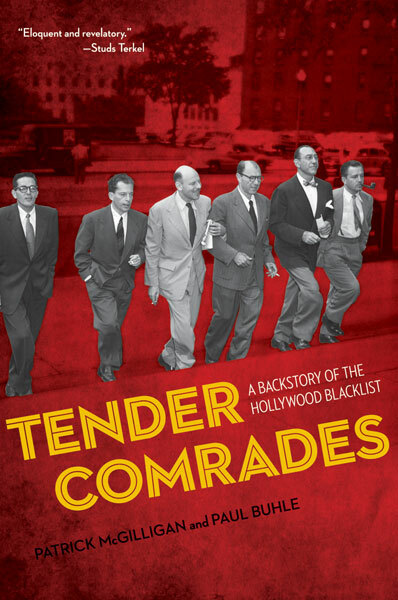 "An acute portrait of that squalid time when the witch-hunt was on in Hollywood and of the thirty-six movie artists interviewed here who were deprived of a livelihood—even as hundreds of others lived in fear of the House Un-American Activities Committee—while havoc was strewn through their lives and their professions."